AleaSoft is proud to announce its 14th anniversary as an energy forecasting company, offering solutions for forecasting in the energy industry, providing customers with a variety of products and services that focus on the demand and prices within the energy forecasting field. Over the years, AleaSoft developed a forecasting methodology that is unique, guaranteeing the highest degree of efficiency and accuracy. AleaSoft has expanded its markets and clients, now offering forecasting to transmission system operators, distributors, traders, retailers, large consumers and generators in both the electricity and gas industries, not to mention its increasing interest in green powers, including the solar energy and wind energy industries. AleaSoft provides short, mid and long term energy forecasting in a variety of markets of the energy industry. It has provided price forecasting for the major European electricity markets, such as MIBEL (Spain and Portugal), Powernext (France), IPEX (Italy), PHELIX (Germany and Austria), SEM (Ireland) and N2EX (UK). 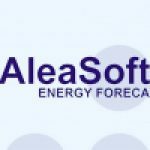 Similarly, AleaSoft supplies a great number of European markets with energy demand forecasting, and its goal is to cater all European markets by end of year. AleaSoft has been a strong player in the European market, and has ambitions to cater globally. AleaSoft complements price and demand forecasting with forecasts related to other price-related variables for which market players are also interested, such as forecasts of commodity prices (oil, gas, coal, CO2 emissions), production by technology (wind, hydro and solar) and meteorological variables, also influencing the energy industry.